Most of us work hard to keep fat at bay from our body, the evil leads to obesity and increased level of cholesterol. However, these fat cells lying under the skin actually safeguard the human body from bacterial invasion. 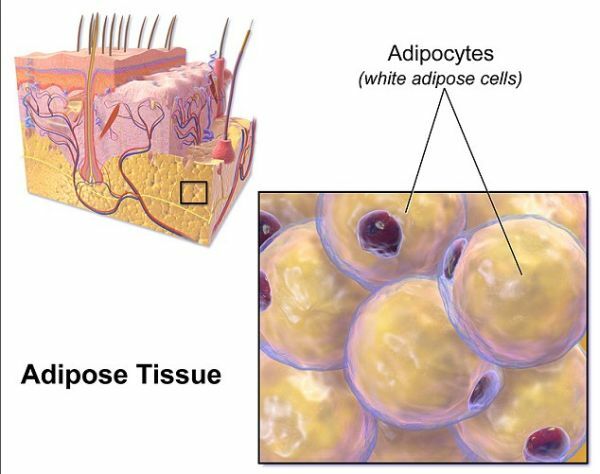 The imperative role of fat cells was discovered by researcher Richard Gallo from UC San Diego School of Medicine and explained the valuable role of fat cells also known as adipocytes. He found that adipocytes synthesis molecules termed as antimicrobial peptides, which fight infections and other pathogens. Apart from adipocytes, previous research has also shown that cells such as epithelial cells, leukocytes and mast cells are the first to act against bacteria invasion. So far, researchers believed that at an injury site, white blood cells in the form of neutrophils and macrophages are the first to act in preventing bacteria to reach the blood stream, causing blood poisoning. But the recruitment of white blood cells at the injury site takes time. However, as per the latest study, researchers are now aware of the fact that fat cells that lie below the skin are the first to stand to fight against bacteria at the wound site, until white blood cells arrive. Based on the findings, Gallo adds that the immune system is not the sole bodily mechanism that acts against bacterial invasion, rather the defense mechanism against bacteria and pathogens is very complex. The team associated with the research exposed lab mice to a common bacterium called Staphylococcus aureus. The bacterium is responsible for skin and other soft tissue infections in humans. Several forms of S. aureus has evolved as antibiotic-resistant, thus becoming a worldwide problem. The researchers observed that after few hours of bacterial exposure, the number of adipocytes and its size increased exceptionally at the site of injury. The team also noted a significant surge in the level of production of an antimicrobial peptide (AMP) known as antimicrobial peptide (CAMP) by the fat cells. These AMP molecules are help body’s immune response to slay bacteria, fungi, viruses and other pathogens. The findings clearly suggest that fat cells immediately sensed the danger of invading staph bacteria and acted accordingly. Also, researchers found that mice that do not posses healthy fat cells below the skin were more prone to recurrent and grave infections. Although the research explained an unknown role of fat cells in the human body, but this does not suggest that obese people are safe from infections. Nevertheless, common forms of infections pose less threat to obese people, but on the other side, obese people tend to have inoperative AMP production or high CAMP levels, which may lead to other problems as autoimmune and inflammatory diseases thus negatively impacting individual’s defense against infections. Therefore, it is still advisable to keep a check on an individual’s weight.